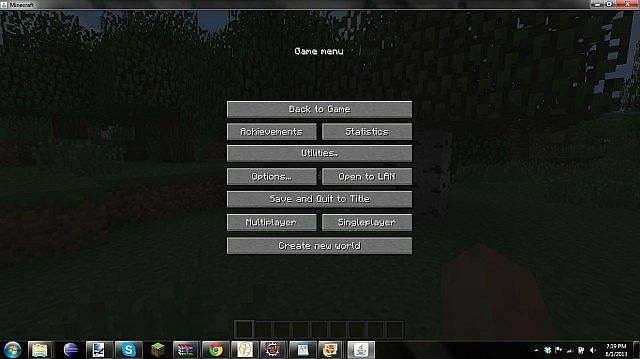 This mod adds a few new buttons to your pause menu, allowing quick accessbetween worlds and even multiplayer games! 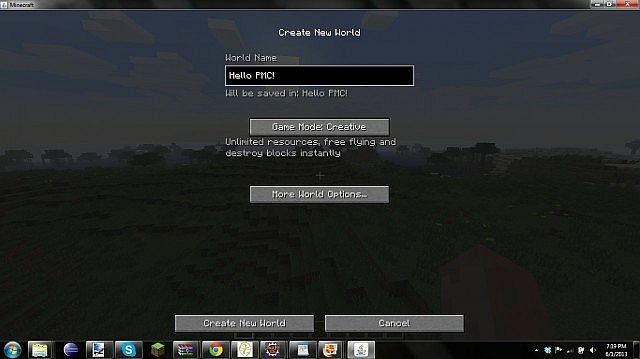 ---Create new world: Create a new world from the ease of your MP Game or world. 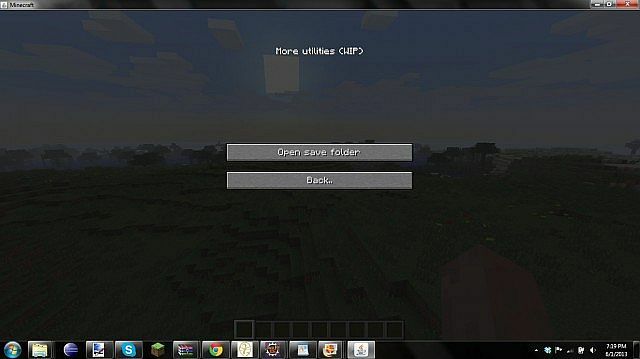 Drop the mod into minecraft.jar, No forge or modloader needed! 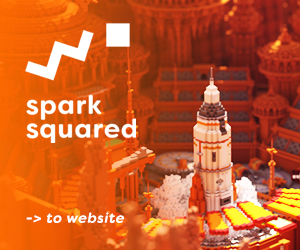 which mcp is Minecraftplanet or something? there isn't a minecraft.jar anymore, and you can't use this with forge, it will crash due to how forge works now. Simple but very useful. Im gonna review it thats how good it is. Hello Duke_Frans:D I dont know if you Remember me... but ... I Wonder what you'r next mod is gonna be:D ( I am a skinner ) You used my GLaDOS skin Before... Remember me now? what ever... I'm gonna start With skinning again:D BTW: I subscribe, and Diamonds on ALL you'r mods/files :D Stay awesome! working, would you mind telling me? since you seem to know alot about this. btw AWESOME mod! Look into using ActionListener, its called when an action (in UI, its when clicked). Do you think you could make utilities for more than just the menu? Like utilities for chests, furnaces, anvils, etc. If you do, I got an idea for a utility to go with anvils. You can remove enchantments. You can either remove it completely or add it to a book that isn't enchanted, yet. You should add a Folder type system to the IP list... Like you can have Hunger game Servers in one folder and Faction servers in the other. This is very genius duke! EDIT: Can I use your other mods too? How did you code this? Did you edit the menu base classes? In a tick handler would it be possible to render a button (or gui) over the current gui like with the hud. I don't know if you can render buttons. Really? Was it the ingame menu base class? Is there anyway to draw a button to GuiInGame or would you have to draw a button image and then check if the mouse was clicked in a certain location and then perform an action? Looks nice, keep up the good work!!! That's awesome, and I would use it, except I have entirely separate instances for SP and MP, and this mod isn't too useful to me. I still diamond it anyways, and give it this comment to help out. Good job! Very professorial. 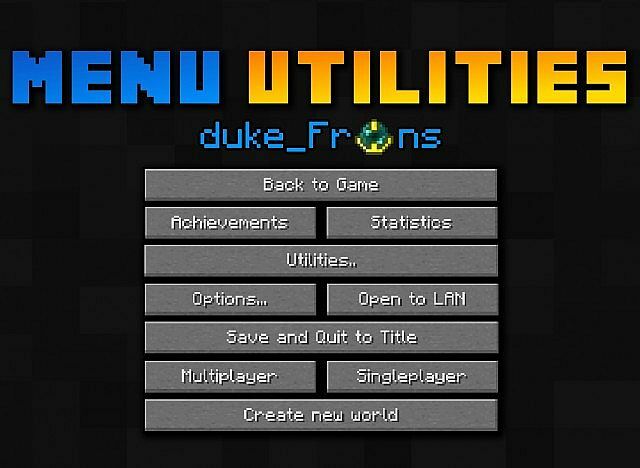 Mojang should add this! When I click on LAN WORLD button, it brings me to the server list. Nice job! 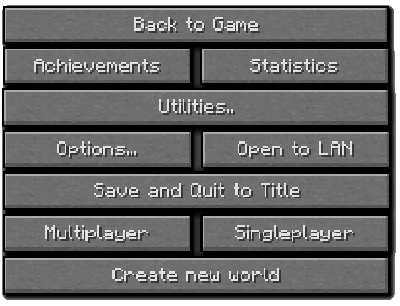 Hey, I am rather new to modding minecraft and, if you could can you teach me how to add a button? Thanks so much, great video! Really good idea! And well executed!